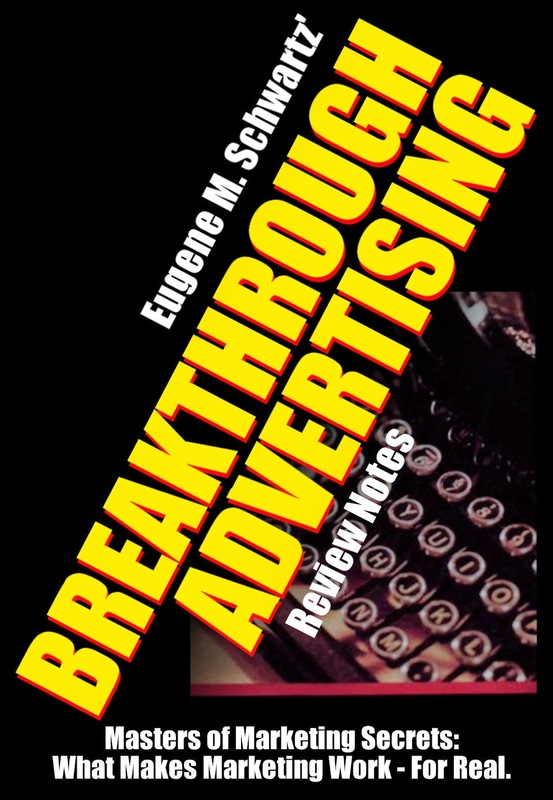 While Breakthrough Advertising by Eugene Schwartz is a classic - it's regrettably unavailable. So I did the next best thing - wrote a review based on my notes, plus scraped up anything else I could find which would help you study and learn from this genius master of copywriting. I have found an "open source" version through Internet Archives, which has been downloaded over 6,866 times.) This is one way to promote this - because whoever has these copyrights doesn't realize the intense demand which exists for his stuff. BREAKTHROUGH ADVERTISING is probably one of the most powerful, and profitable, books on copywriting and marketing ever written. Unfortunately, it's been allowed again and again to drop out of circulation, and its lessons lost. Further, copyright issues don't enable this book to be reproduced freely for another 50 years or so. - Discover how to get a product to sell no matter how people have already heard about it or how many products like it are already out there. - Learn how to control your audience by being their friend. Get Your Copy Today and Start Your Route to Copywriting Mastery!